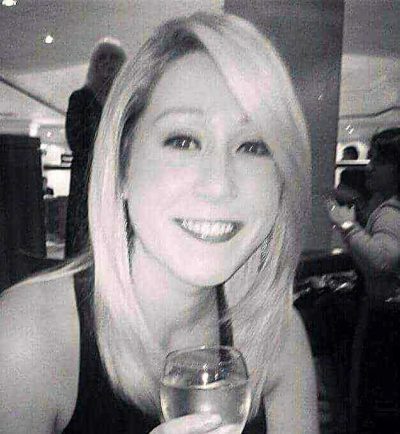 Alys Elsworth was diagnosed with ovarian cancer two years ago. Matt Elsworth and Tom, aged four, were left heartbroken and devastated when Alys died in May. 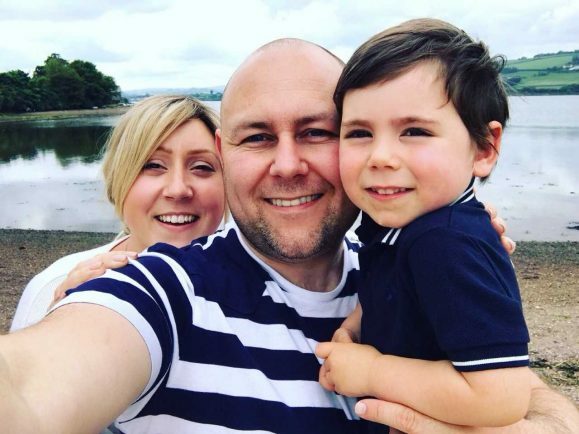 A DEVOTED husband will be putting his best foot forward in memory of his wife who lost her brave battle with ovarian cancer in May. Matt Elsworth, from Damson Parkway, will be walking 31km on Saturday (September 8) – a kilometre for each year of her life – to raise funds for the Marie Curie Hospice in Solihull in Alys’ name. The 39-year-old, and his army of supporters, will set off from the Jaguar Land Rover Sports and Social Club in Billsmore Green at 7am and head to Henley-In-Arden and back to the Social Club where a fun day is being held in Alys’ honour. From 2pm there will be a dog show, a raffle, stalls and from 6.30pm there will be a family disco. Matt is hoping to raise £7,000 for the Marsh Lane hospice where the mum of one spent her final days. During her two-year battle Alys, who grew up in Queenstown New Zealand, started a blog called Plot Twist on Facebook. She had over 1,000 followers and Matt said she was never down beat about her disease on her blog just remarkably brave as frank about how it was affecting her and the family. Matt said: “After she left us I didn’t want to allow all her amazing words on her plot page to just disappear, and as she was in events I thought maybe I could organise something. “A friend had suggested a sponsored walk which we started planning, and then I thought about venues, so I spoke with the Land Rover Sports and Social Club, and they amazingly offered to host it, with lots their help. After Alys moved to Solihull in 2007, after meeting Matt in New Zealand, she got a job as part of the events team at the NEC before having Tom four years ago. Matt said the couple were together for many years before he proposed to her when they were on a cruise in the Bahamas. He said: “We hadn’t planned the wedding when we found out the horrifying news and after digesting it for what felt like an age but was really just seconds we went off for Alys to have a X-ray. “Obviously I wasn’t allowed into the room but when she came back out, she turned around to me and said ‘Shall we get married on Friday?’ this was a Monday, so we went full steam ahead and as in a typical Alys, she did exactly what she said she would and wanted.